It’s Amanda Rootsey, Nicola Newman and Naomi Arnold here. We are friends and business owners who each live in different parts of Australia. Nicola lives and works from a sailing boat with her husband Andrew and dog Lacey-Jane. She is a professional artist, writer, painting teacher and retreat host. They base themselves wherever the wind takes them that day, but often on the waters of NSW. Naomi and her husband Dusty live in an old blue beach house in a small coastal town in Queensland, working from home with their 4-year old son Daniel, dog Maxie and cat Mica. She is a business + life coach, podcast host and student in a Master of Human Rights. Amanda lives and works in her Brisbane apartment with her partner Davey and their fur baby Trudi. She’s the author of Shine from Within (Hay House) and founder of a teen personal development academy (also called Shine from Within) where she coaches teens and supports adults who want to create workshops for teens in their own communities. What do we each have in common? Well, lots of things. But of most relevant to this post – we all did Marie Forleo’s B-School program. In fact, we probably have Marie to thank for having met each other in the first place! If you haven’t heard of B-School, it is an online business school for modern entrepreneurs. The 8-week online training program teaches you how to use your uniqueness to create or grow an online business and establish a well-marketed, profitable and impactful brand. We were each at different points in our business journeys when we signed up to B-School. Mandy had previously completed a Bachelor of Business Management and had already been running her business for a short while but was not experiencing the traction she desired. 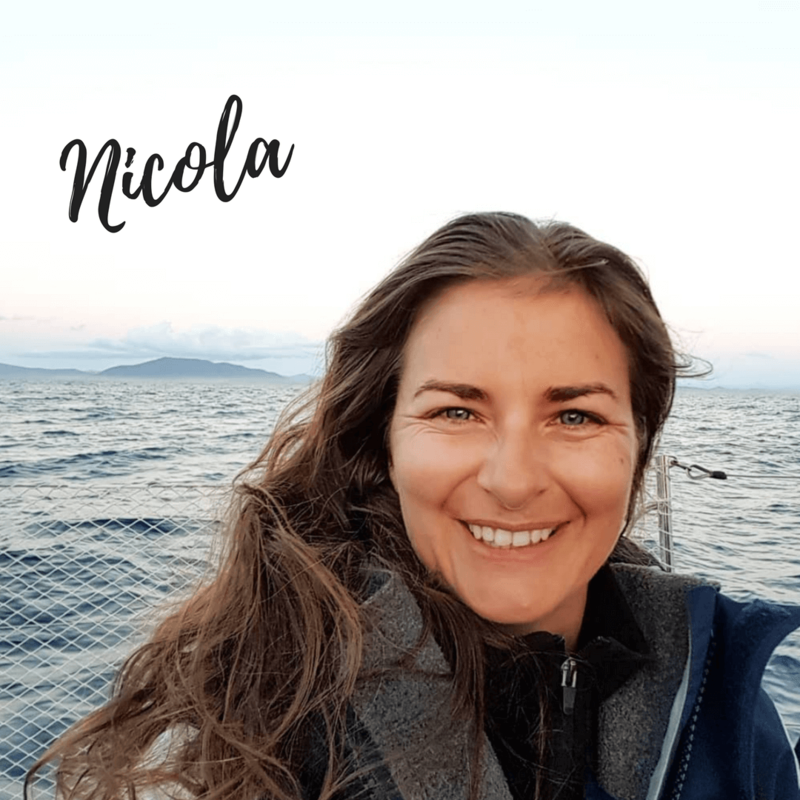 Nicola had been working as a professional artist and was experiencing chronic fatigue, so was looking for a way to bring in an extra income that would not over-extend her. 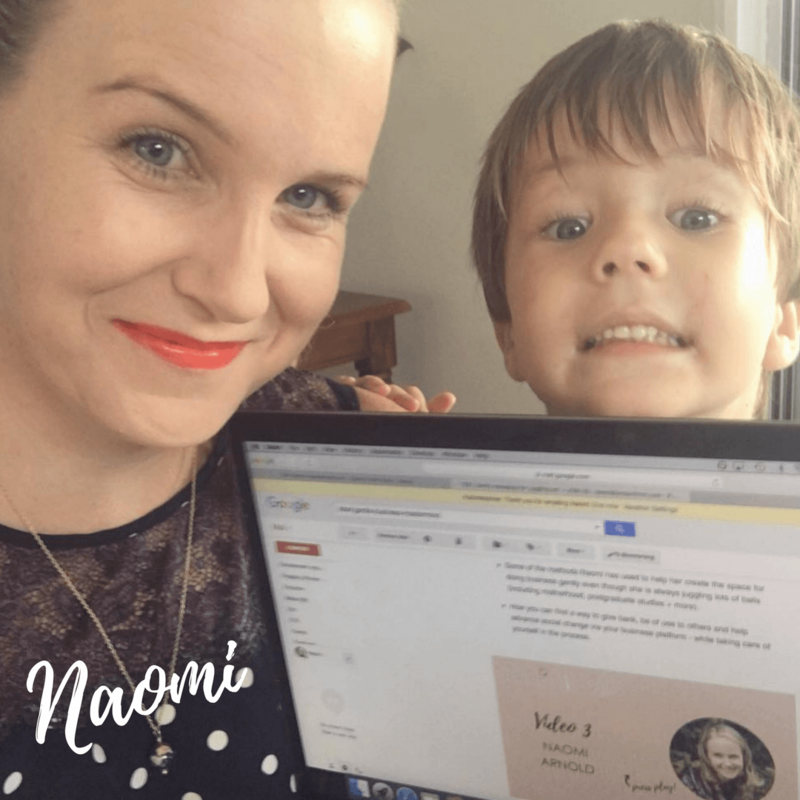 Naomi was working for the Australian Government, was pregnant, and hoped to start an online business while on maternity leave, but did not know what that business would be yet. We are not only collaborating as hosts of our annual Gentle Business Mastermind, but have also each built successful, values-based businesses of our own. We’ve seen each other get books deals, win multiple awards, have our offerings booked out months in advance, build 6-figure businesses, be featured in the media, and receive the most wonderful feedback from our clients. We’ve done this, our own way – while selling up and creating a life on the sea, while recovering from cancer, while working from home as a mama, and through the good and not-so-good times that come with this thing called life. We are proud to now have successful businesses, that were built in a gentle, sustainable and profitable way. connect with like-minded, supportive people – many of which have since become dear friends (like each other!). Amanda even says that B-School taught her more than what she learned in her three year business degree! If you haven’t already, make sure you check out Marie’s free video training series. These videos lay out the roadmap of how to create a successful online business, and give you a taste of what you’ll discover in the full training program. Access to our Gentle Business Mastermind – a twelve month experience beginning in March 2019, designed to support you to grow your business gently, sustainably and consciously. This will include access to our exclusive Facebook group, monthly Community Calls, monthly calls with our Expert Mentors, and fortnightly emails to check-in and keep you on track. A 60 minute private coaching session with Amanda, Nicola & Naomi. This call will be after Bschool has ended in a few months time. On this call, we can get clear on your next steps and create a plan that will help keep your momentum going once B-School is complete. We want to make sure you learn all this awesome stuff AND then take action. We can’t wait to be able to continue supporting you for the rest of the year through the mastermind too. Yay! You’ll also find some important things to note at the bottom of this page to ensure your enrolment gets tagged as ours so we can give you all these bonuses! If you have any questions about B-School or our offer, please email us at amanda@shinefromwithin.com.au, Nicola@nicolanewman.com or naomi@naomiarnold.com. We know that B-School is a big investment and we are here to provide you with any information that will help you make a decision either way. We also appreciate B-School (and the bonus package) is not for everyone – so we will be honest in telling you if we personally think they are right for you. · You need to click on this link or one of the buttons on this page to claim this bonus package. This is the only way that Marie’s team can track that you have signed up through us. · If you have been browsing a number of affiliate pages and want to ensure there are no technical errors, it might be a good idea to clear your browser cache/cookies before clicking on our enrolment link. If I’m speaking another language to you right now – details on how to do this can be found here. · Once you have registered for B-School, please email a copy of your receipt to nicola@nicolanewman.com to ensure you receive your bonus membership to the Gentle Business Mastermind. 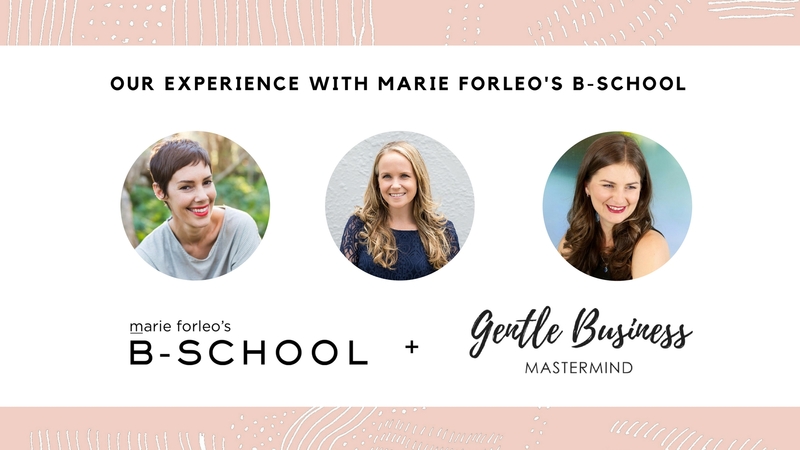 · You will receive access to the Gentle Business Mastermind once our doors officially open on 11 March 2019 AEST. Please note that if you decide to not continue with B-School before their refund period ends or cease making payments for B-School, you will no longer have access to the Gentle Business Mastermind either (unless you choose to pay our memberships fees). · You will receive details about the 60 minute coaching session as we approach the end of B-School. · If you sign up through this link or those provided on this page, we will likely receive a commission. Essentially, this commission will pay us for the bonus package services that you will receive as part of this B-School affiliate package. As proud B-School affiliates, and students who still benefit from B-School each year, we are over-the-moon honoured to be telling people about its awesomeness. We would never ever indirectly or directly promote something that we hadn’t used and loved – and in fact, were vocal about our praise of B-School before even becoming affiliate partners. KEEP ME INFORMED ABOUT THE 2019 MASTERMIND! We'll keep you updated with our 2019 launch + free video series. WE'LL POP INTO YOUR INBOX IN THE COMING WEEKS WITH GOODIES! GET ON OUR B-SCHOOL BONUS INTEREST LIST! REGISTER TO JOIN THE RETREAT! We'll send you the details soon. GET INSTANT ACCESS TO THE EBOOK!